1970 Dodge Charger used in the movie "Fast and Furious" with the V8 engine 440 Cu which can give of fire from the roll bar and blower sold for $ 690,000. 1970 Dodge Charger was in a damaged condition. High enough price for a car that has been damaged, but worth the price if you see the history of a 1970 Dodge Charger ever driven by Vin Diesel in first "Fast and Furious movies". The price of a car to be absolutely fantastic if have an amazing history. 5 units of cars built for the purposes of this film is the only car that will be sold. 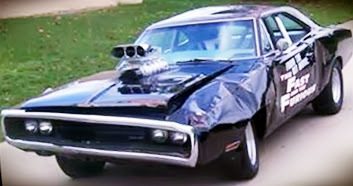 The fans of the movie "Fast and Furious" and collectors car is certainly compete for the 1970 Dodge Charger. 1970 Dodge Charger made no improvement since 2009 after crash with semi-truck on the front. See the picture below. 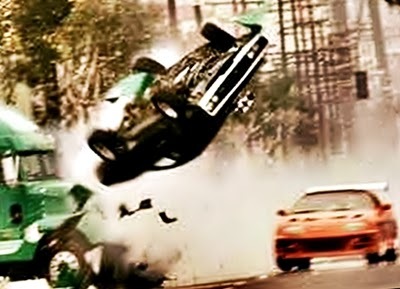 1970 Dodge Charger damaged in a collision with a semi-truck by Dominic in 2009 at the end of the story. Damage 1970 Dodge Charger is the front, side, and rear. "Article : 1970 Dodge Charger ever driven by Vin Diesel from Fast & Furious movie up for sale"